When Nightprowler gains Cover, draw a card. 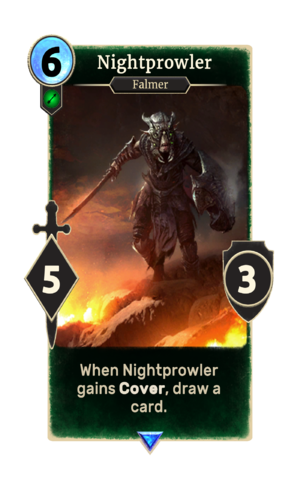 Nightprowler is a rare Agility creature card. It is part of the Heroes of Skyrim expansion.